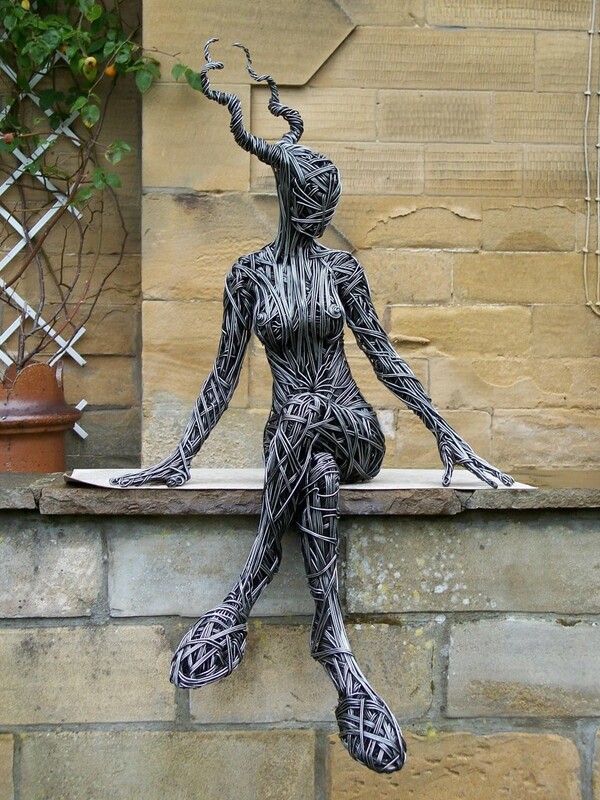 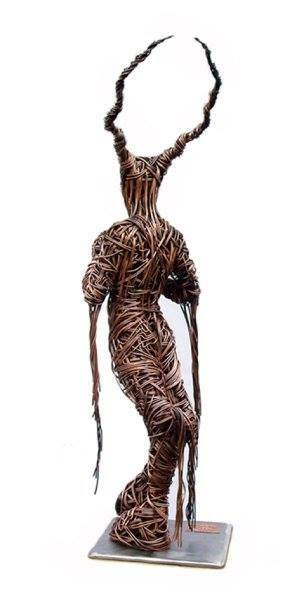 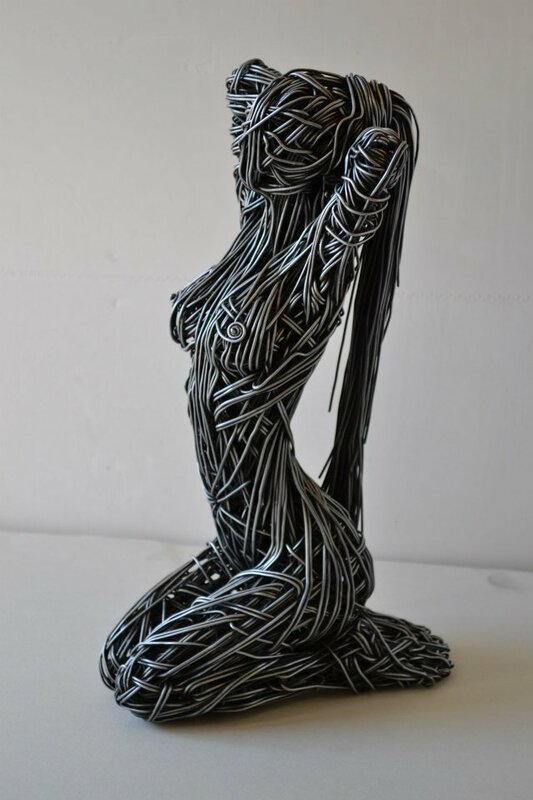 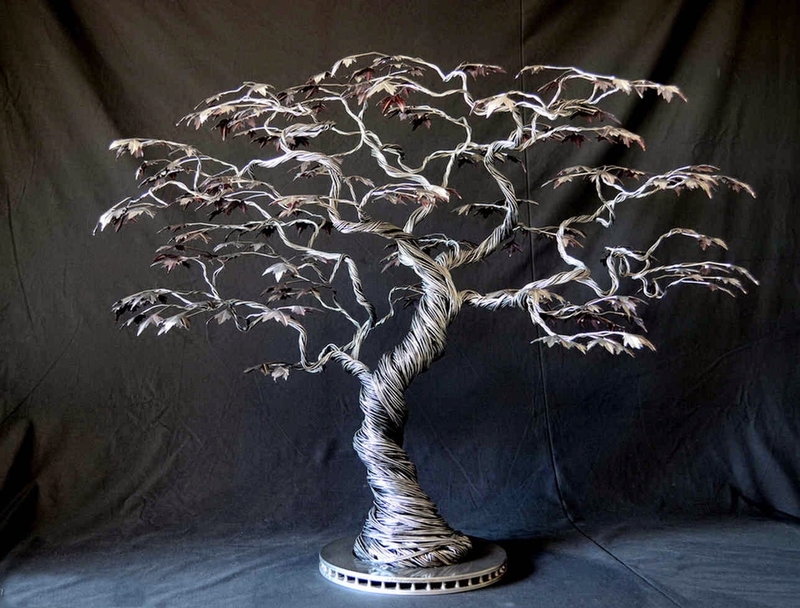 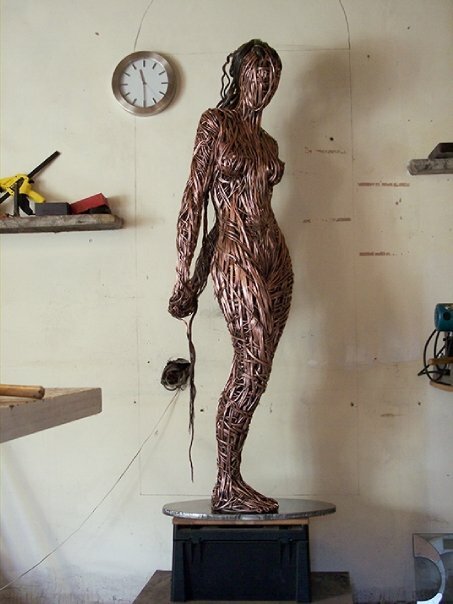 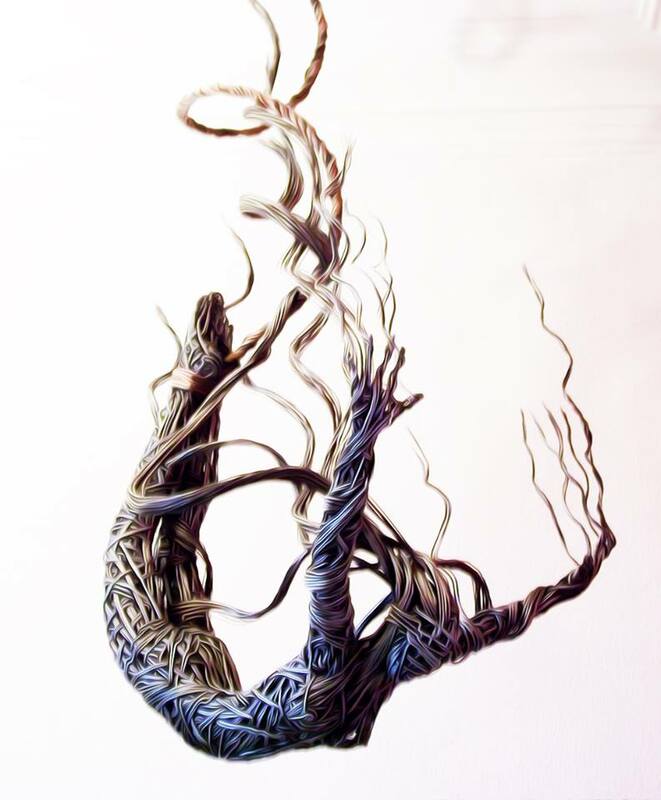 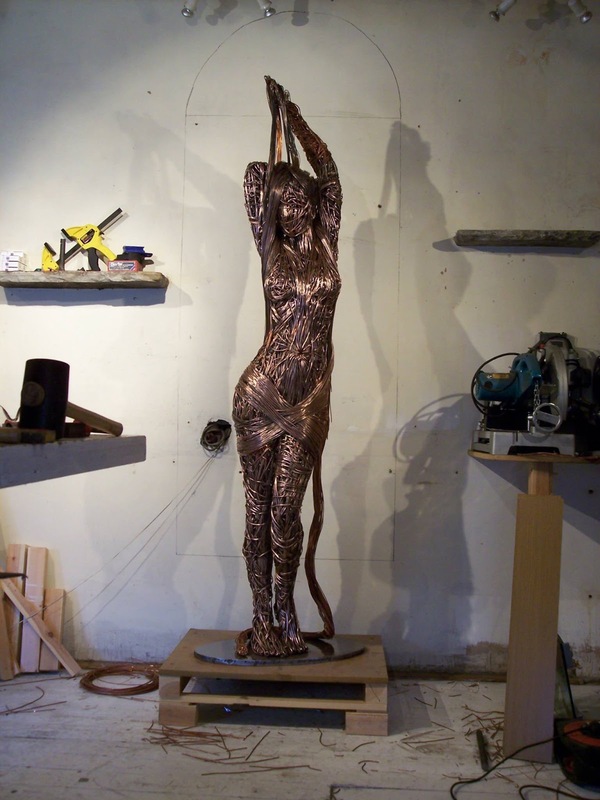 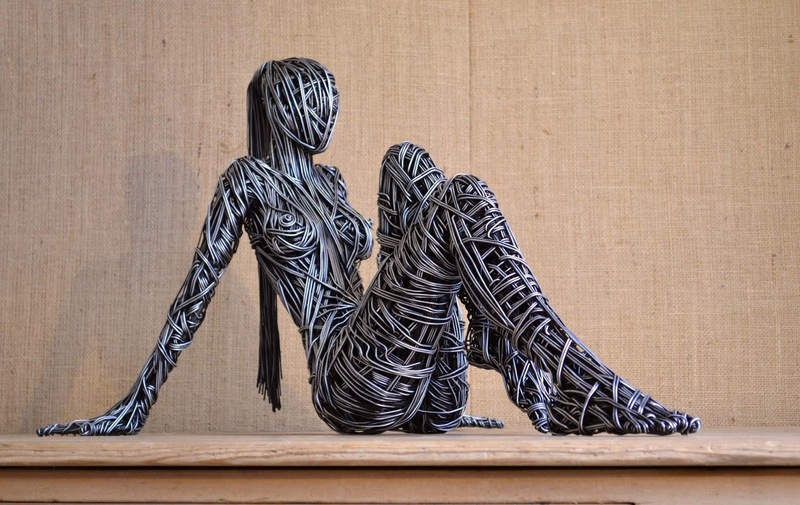 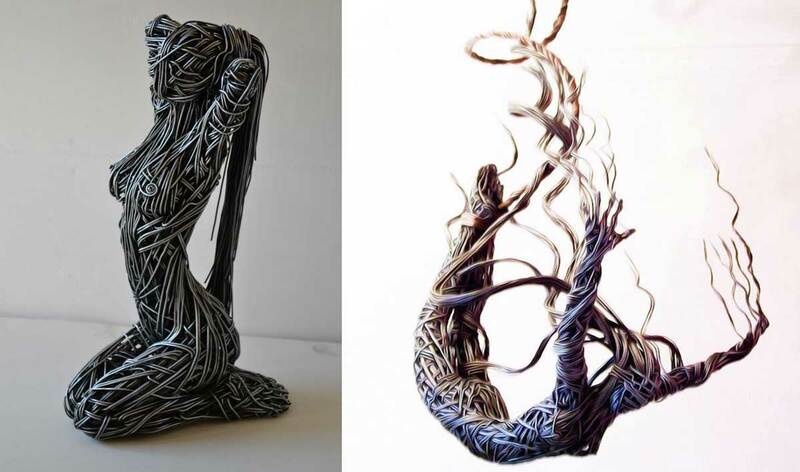 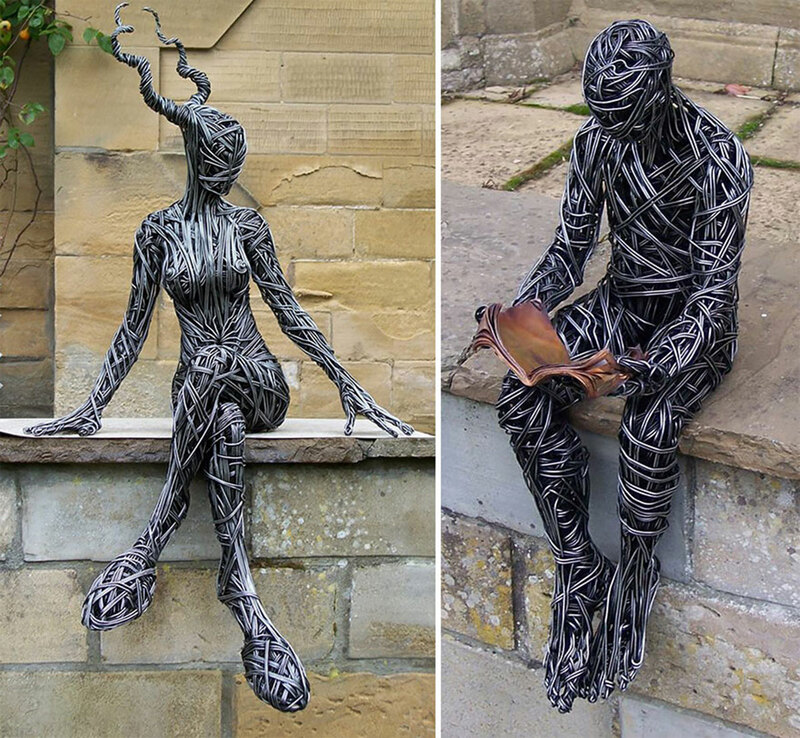 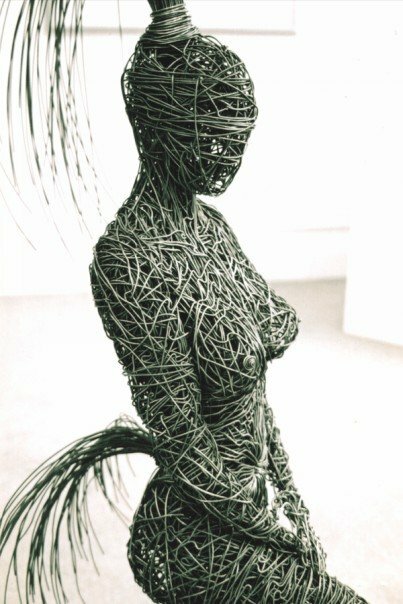 British sculptor Richard Stainthorp captures the beautiful energy and fluidity of the human body using wire. 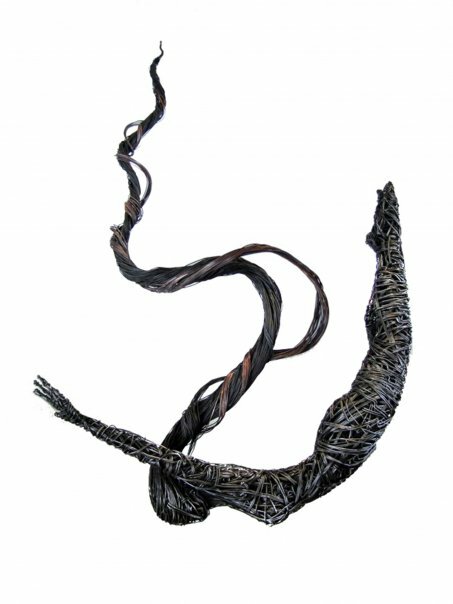 The life-sized sculptures feature both figures in motion and at rest, expressed in the form of large-gauged strands that are densely wrapped around and through one another. 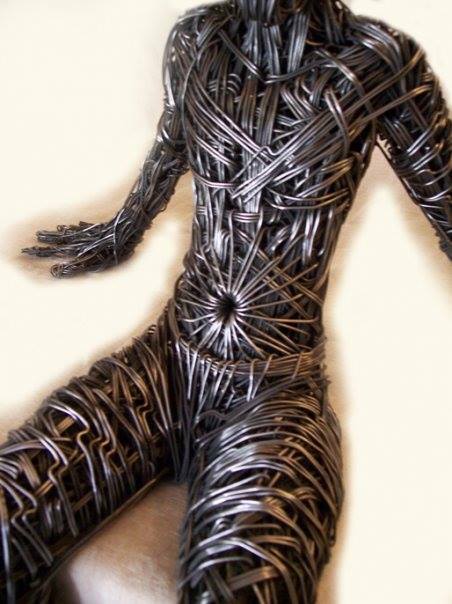 By doing this, he gives the work an undeniable presence. 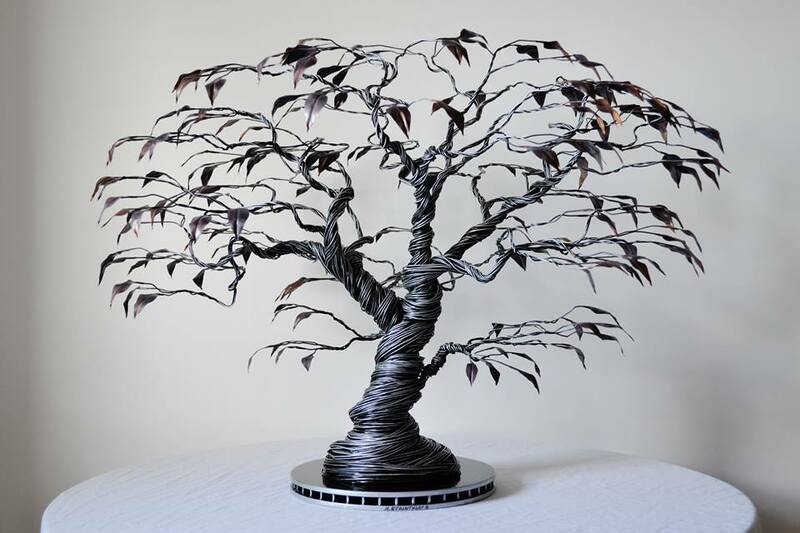 Stainthorp also allows the bent wires to shine by keeping their metallic appearance free from any obvious painting or additions. 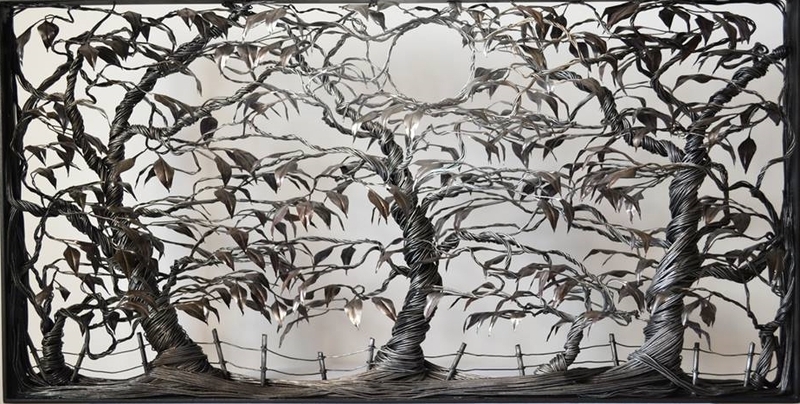 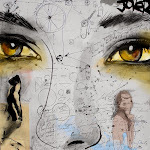 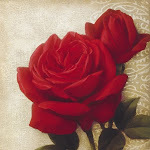 Stainthorp has created these alluring artworks for almost 20 years. 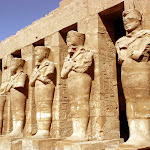 They don’t have any facial features, but through their body language, we understand their emotions. 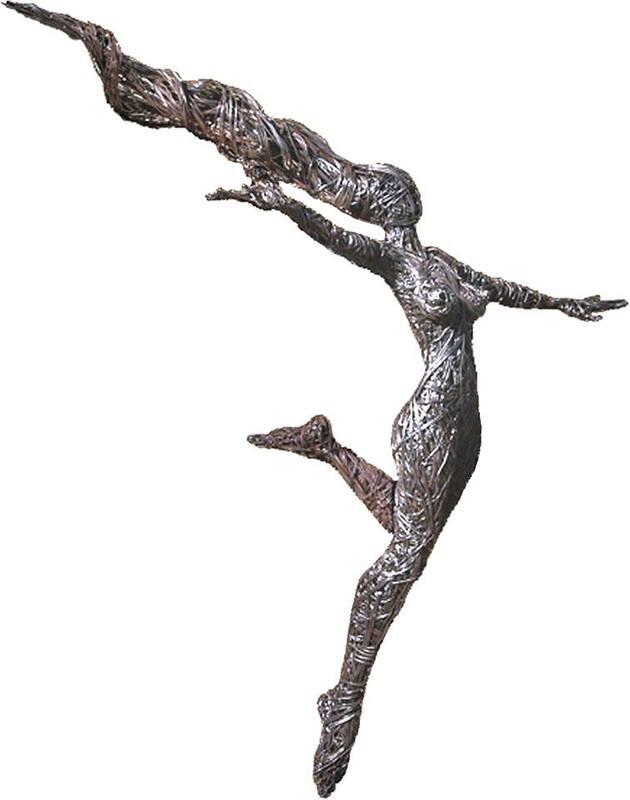 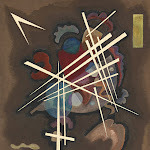 Some look as though they’re falling and communicate a feeling of freedom or infinite possibility. 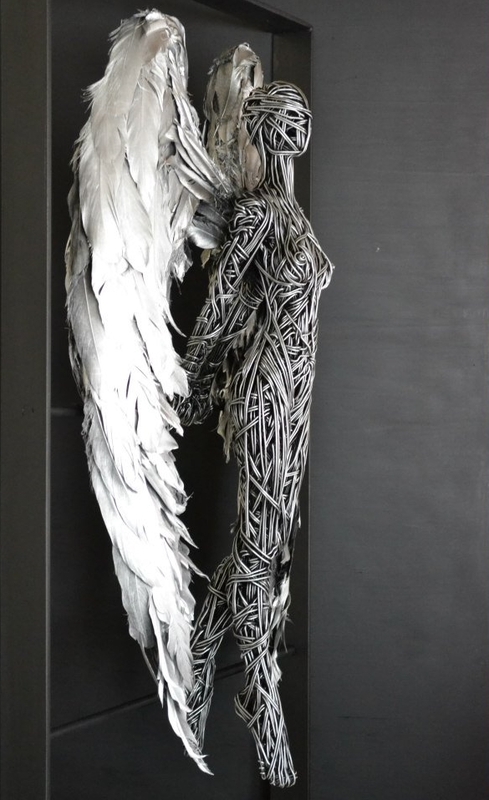 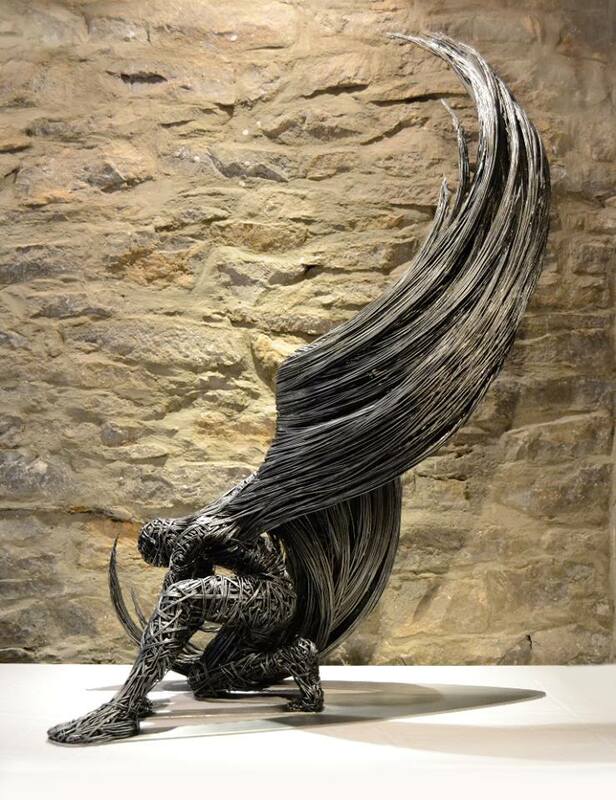 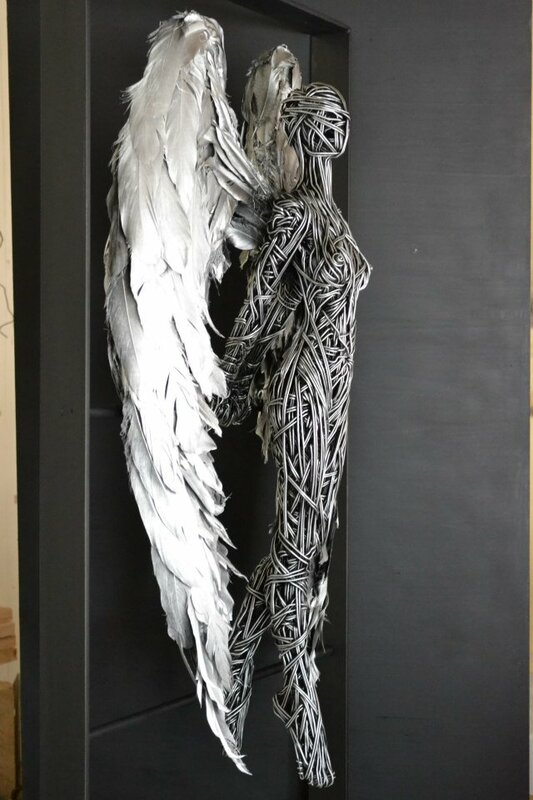 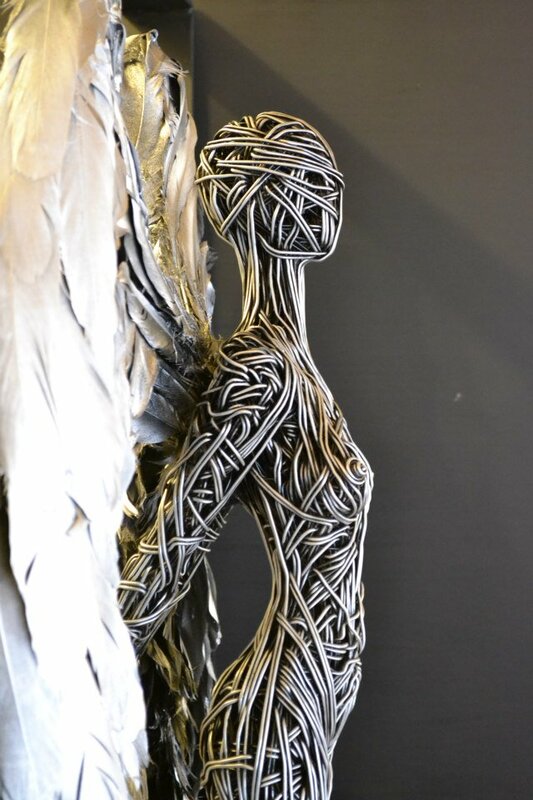 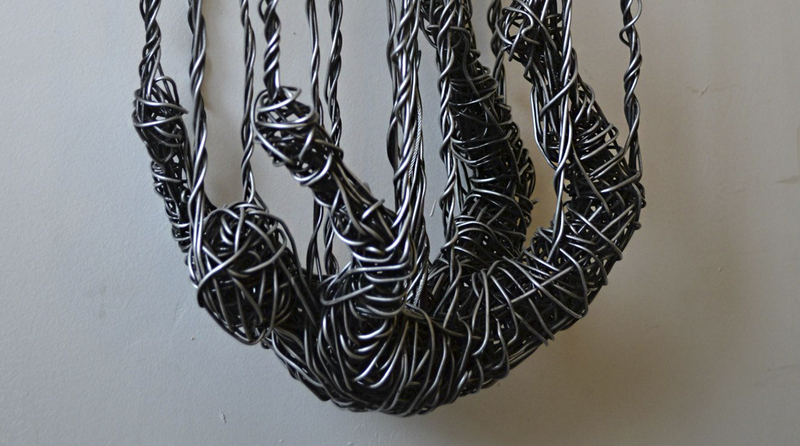 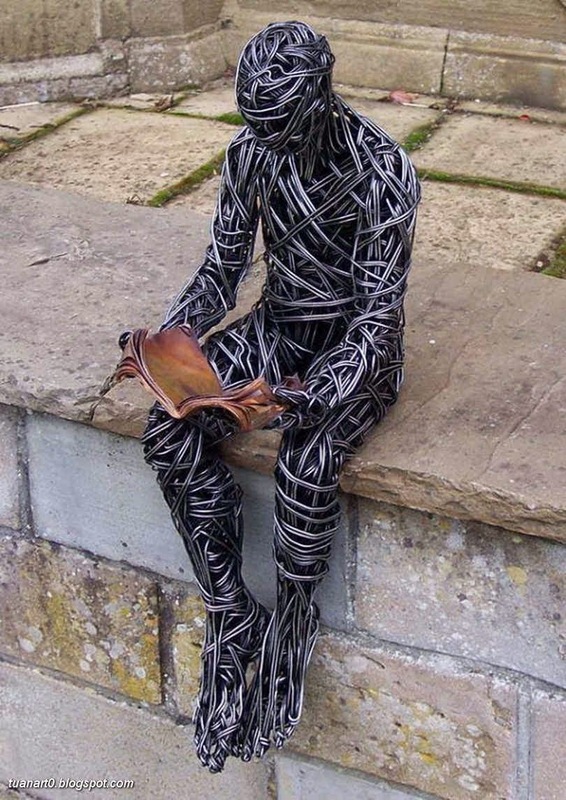 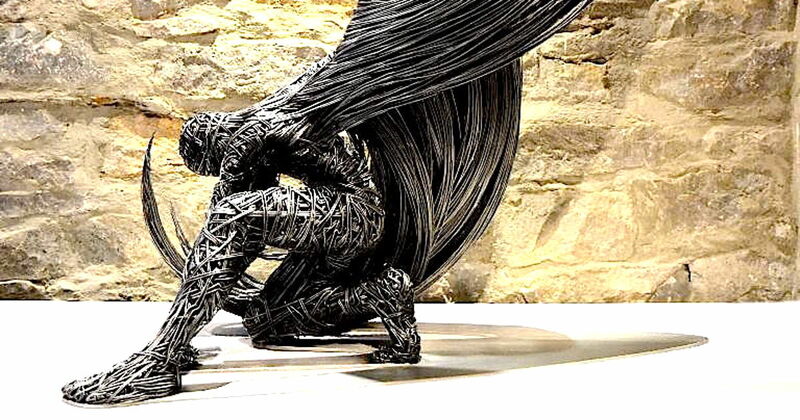 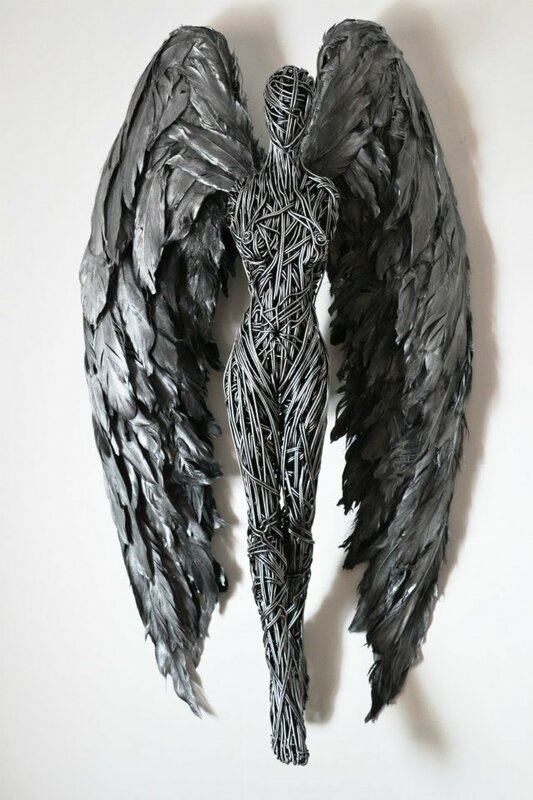 Another sculpture has a breathtaking set of wire “wings” that appear as its shield. 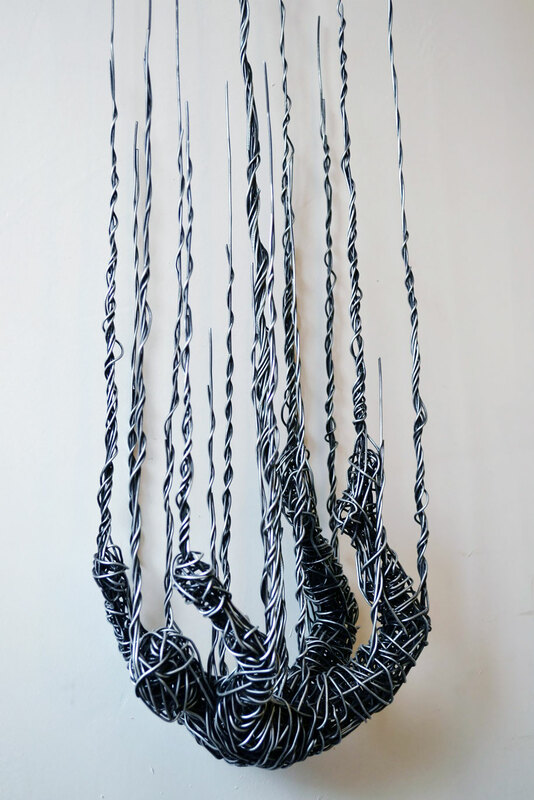 To think that Stainthorp articulates all of this through something as ubiquitous as wire is incredible.